This 3B Scientific® Skin Pathology model shows healthy skin and 5 different stages of malignant melanoma on the front and back, enlarged 8 times. 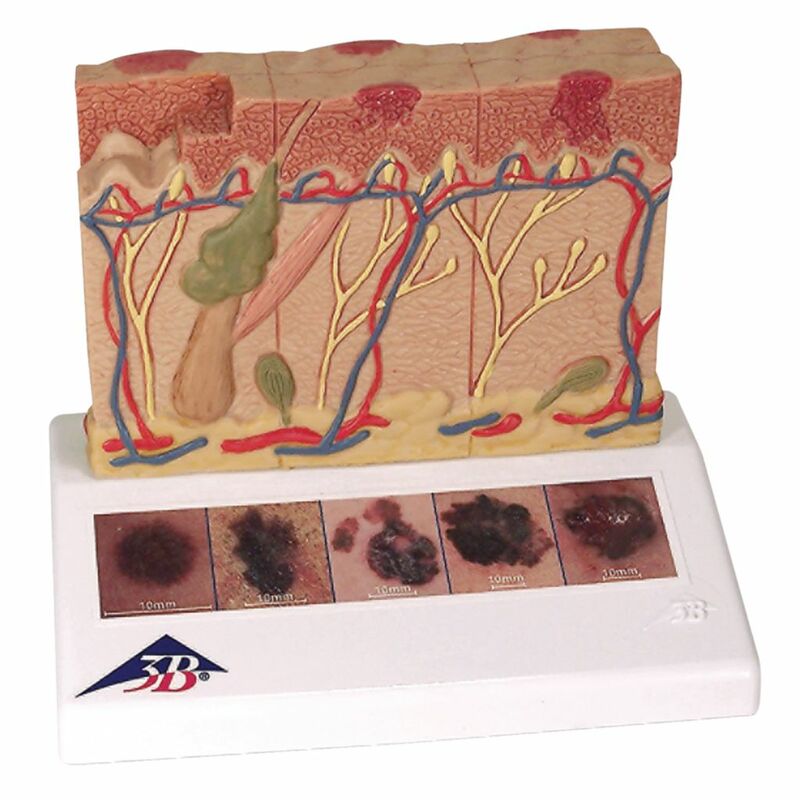 In the top view of the skin cancer model, the individual stages of externally visible skin changes are shown, allowing for an assessment according to the “ABCDE” criteria. The sides of the skin cancer model show the various levels of invasion into the skin layers according to Clark (I-V) and the tumor thickness according to Breslow (in mm). 5 original color illustrations on the base of the skin cancer model show various types of malignant melanomas. The skin cancer model comes mounted on a base.